Developed by renowned Harley Street plastic surgeon Dr. Yannis Alexandrides, 111SKIN's 'Celestial Black Diamond Emulsion' delivers radiant, renewed and supple-looking skin. This fluid, lightweight cream is infused with brightening Arbutin, plumping Hyaluronic Acid and the brand's patented firming NAC Y² formula. 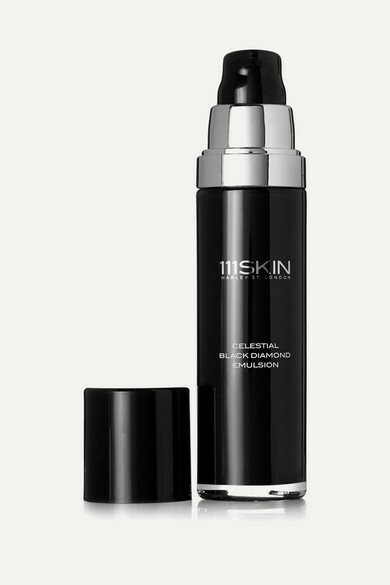 A potent concentrate of black diamond microspheres transports the youth-restoring ingredients to deeper layers for the most powerful results.